Headlining the InstantScouting 2018 Elite Class: D3 – Defensive Backs is Senior Nick Swore of University of Northwestern-St Paul. Swore made quite the impression on the football field last fall, ending the 2017 term with a top-ten nationally ranked seven interceptions, which was also a conference-leading statistic and a second rank in program history. In addition, Swore recorded three blocked kicks on special teams, scooped up a pair of fumble recoveries, logged an impressive 56 tackles, and noted eight pass breakups. CB notched 5 interceptions and 8 pass break ups earning USA South 1st team all-conference honors as a junior for Ferrum College. 6’3” DB registered 5 interceptions and 7 pass break ups on Huntingdon earning USA South 1st team all-conference. 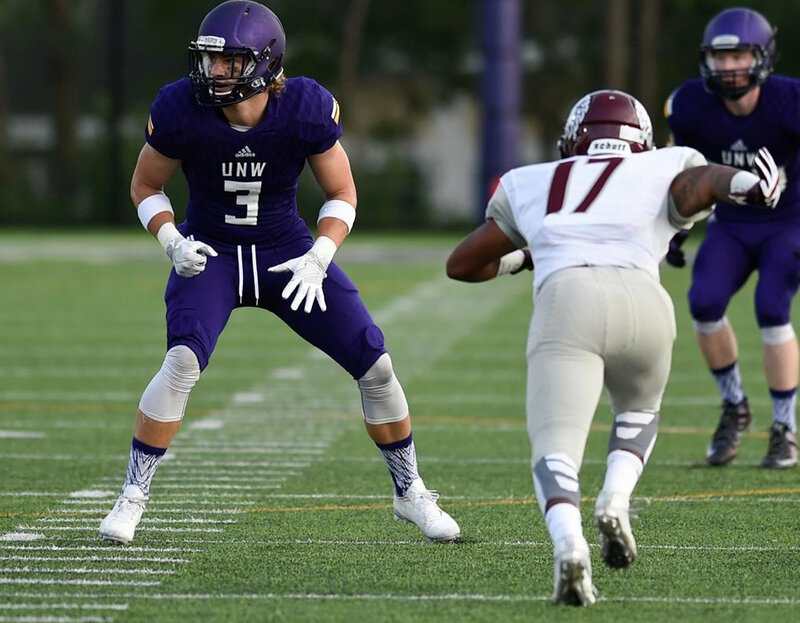 Earned numerous accolades at DB including 2nd team All-American (D3football.com) and 1st team All-West region at the University of Northwestern where he recorded 7 interceptions and 3 blocked kicks. Had 16 pass break ups and 1 interception at Westminster College earning UMAC All-Conference 1st team. CB registered 5 interceptions and 3 pass break ups earning 1st team All-ODAC as a junior. All-OAC 1st team selection started 14 games at safety for Mount Union recording 62 tackles and 4.5 tackles for loss. Registered 43 tackles and 3 interceptions on Frostburg State earning 1st team All-NJAC awards. DB earned 1st team All-NESCAC honors at Amherst College registering 27 tackles and 3 pass break ups. 1st team All-MIAC DB had 4 pass break up and 4 interceptions for Bethel University as a junior. Earned 1st team All-UAA at University of Chicago with 4 interceptions and 4 pass break ups. Had 6 interceptions bringing him to a 3-year total of 18 interceptions so far in his career and resulting in a 1st team All-MIAA. 1st team All-SCIAC safety finished with 77 total tackles including 4 tackles for loss as a junior.